The contestants of Sa Re Ga Ma Pa Li'l Champs 2019 shall celebrate music with the best of Kishore Kumar hits this weekend. Catch a sneak peek inside. Get ready for one happening weekend full of celebratory vibed with the contestants of Zee TV show Sa Re Ga Ma Pa Li’l Champs 2019. After a tiring work week, pampers yourselves with a break by tuning in to the soulful melodies by these young participants. What’s more in the store you ask? Well, these power-packed performers shall croon music legend Kishore Kumar’s songs in the company of Bappi Lahiri, Amit Kumar, and latest singing sensation Dhavni Bhanushali. Tonight, the champs are coming to set the stage on fire in the rocking company of Disco King Bappi Da & versatile singer Amit Kumar! Mohammed Faiz’s performance on Ek Chatur Naar leaves everyone on the panel and jury spellbound while Aavya Saxena walks away with a standing ovation. All this and more awaits you this weekend! Moreover, Dhvani Bhanushali, who has lent her voice to chartbuster songs like Veere Veere (Veere Di Wedding), Dilbar Dilbar (Satyameva Jayate), Leja Re and more shall grace the Kishore Kumar special episode too. Besides a scintillating performance on her famous numbers, Dhvani shall join in cheering the contestants on and also give her valuable inputs. She brings along a lot of masti and memorable tracks from the era gone by, all for you fans of Sa Re Ga Ma Pa Li’l Champs 2019. Which contestant are you rooting for this weekend? Let us know in the comments box below. Don’t forget to catch Sa Re Ga Ma Pa Li’l Champs this Saturday-Sunday on Zee TV at 9 pm. 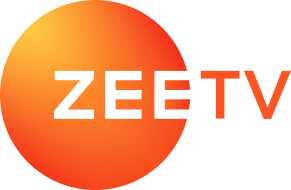 You can also watch the episodes for free on ZEE5. Karenjit Kaur Season Finale Is Now Streaming On ZEE5! Watched It Yet? Dance India Dance: Punit Pathak And Raftaar To Join Bosco Martis As A Judge?